In a time when many aspects of our lives seem to be separated, compartmentalised making us feel disconnected and fragmented, Yoga brings about a sense of grounded integration, inclusiveness and fluidity. The practice of Yoga stirs us away from the myth of separation which generates pain, conflict and fear. Yoga reminds us that there is a place of contented joyfulness, a place where dreams can be realised and meaning found. 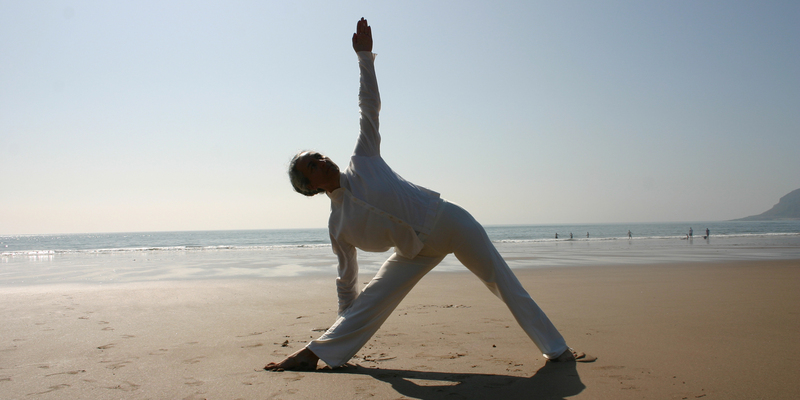 Yoga is a methodised process to support personal development and evolution. It helps us arrive in the present, the only place where anything is actually happening. Here we can experience life as a precious opportunity to become conscious of our own marvel and to act skilfully. •Jnana Yoga the Yoga of knowledge and wisdom that educates the conceptual mind to develop a sharp discernement and refine higher intuition. The practice is meditative contemplation, sometimes accompanied by renunciation to mundane life. •Raja Yoga the ‘royal path’ is the study and consequent understanding of the mind, its fluctuations and complex processes. The practice is self-reflective and meditative as presented in the Yoga Sutras of Patanjali. It is referred to as Classical Yoga. Raja Yoga is often contrasted with Hatha Yoga which was seen as preparatory. This thinking started in the 11th century in an attempt to integrate the meditative aspects of Yoga with the then ‘new’ body positive teachings of Tantra. •Hatha Yoga founded by Goraksha (circa 10th century AD) is the Yoga of self-realisation by means of perfecting the body through the physical and vital practices of asana (posture) and pranayama (breath) respectively. This is the aspect of Yoga that has found great resonance in Western culture. •Karma Yoga is the Yoga of self-transcending action, to navigate the impact of desires, attachments and loss. By renunciation there is insight and understanding. Selfless work, volunteering is its main practice. Contemporary practice has greatly expanded the practical field of Yoga and devised new terms that refer to methods of presentation, or ‘styles’ which emphasise one or the other of the traditional aspects of the practice or refer to ways of practice or presentation specific to particular teachers. Sometimes in a fluid, uninterrupted flow of sequenced or ‘danced’ asanas, sometimes in long-time holding of particular postures, other times creating artificial heat to replicate tropical climates or emphasising what is perceived as masculine or feminine. All Yoga is about coming in touch with your true self. Our Yoga is a holistic practice that integrates all the aspects of the traditional spectrum as well as a variety of modalities from kin traditions. Our intention is to create a gentle and supportive environment for all to confidently develop the ability to respond to conditions as they arise. In time we learn to trust and rely on the inherent wisdom of our bodies. Then we start to remember who we really are.